Long, scrolling websites are emerging as one of the top Web trends of recent years for a few reasons. The main reason scrolling is preferred over clicking is the popularity of mobile Internet use. As more users search and browse on a smartphone or tablet, it is becoming increasingly important to offer large amounts of information on a single page. Scrolling is simply easier on a mobile device than clicking, so expect to see more websites with long homepages. A single, scrolling page also cuts down on overall loading times and can be a bit more intuitive than sites with a lot of subpages. 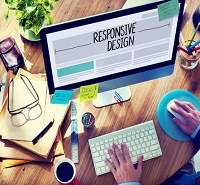 Telling a story on your website has become one of the most important trends in Web design. This means ensuring your website has a few key elements. Literally telling the story of your company engages consumers. It’s just your product that people are interested in it, it’s the story behind it, your motives, your authenticity. A personable, conversational “About Us” page will go a long way. Storytelling is also becoming a big part of Web design, not just written content. Every aspect of your site should tell a consistent story about your brand, putting an emphasis on the value it provides. Visit the Apple website for inspiration in this department: The company does an excellent job of integrating their principles of sleek design into their website as well as their products. Card design (such as seen on Pinterest) is another of the website trends in 2016 that offers both functional and aesthetic benefits. Square cards displaying photos and text are friendly to a variety of platforms, including smartphones, thanks to their responsive nature. This naturally makes them appealing for Web designers. Responsiveness makes card-based design good for user experience and can also allow people to work on a website across multiple platforms. Aside from the functionality offered by cards, this form of design also provides a clean appearance. Cards are easy to organize and can be visually appealing without getting sloppy. Keep this design style in mind whether you’re starting from scratch and want to make a website for free or you’re updating an existing site with the help of a Web designer.